With intense competitive pressures and mind-numbing speed, leaders seek fresh approaches for growth and innovation. As old methods become commoditized, new creative problem solving techniques are needed more than ever. Drawing inspiration from the unlikely world of hackers, New York Times best-selling author and five-time tech entrepreneur Josh Linkner has discovered a new and powerful model for leadership and organizational success. The underworld of cybercriminals contains some of the most creative people on the planet, despite their illicit motives. In this thrilling and provocative talk, Linkner takes the audience on a mind-opening journey, showing how hacking techniques can be deployed to drive legitimate business outcomes. Learning how hackers would solve your most pressing challenges using unorthodox approaches will give you a new framework for creative problem solving, growth and innovation. Josh Linkner – who started his career as a jazz guitarist - personifies creativity, entrepreneurship and disruptive innovation. He has been the founder and CEO of five tech companies, which sold for a combined value of over $200 million. Transformation, as well as his latest book, Hacking Innovation. He is also the Founding Partner of Detroit Venture Partners, investing in and mentoring over 100 startups. "Book him! He is amazing. Josh is the only speaker we have ever had that received a standing ovation! 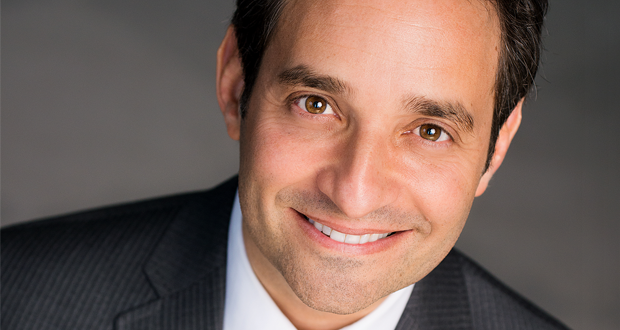 Josh Linkner is a perfect speaker for any business or charitable organization. His message is relevant and beautifully presented. He is also Very easy to work with and is willing to customize his presentation to your needs." "Josh was fantastic! He was very dynamic, engaging, and relevant. We received a lot of positive comments from attendees." "OMG, Josh Linkner was a HUGE hif you are looking for someone to provide thought-provoking, actionable tactics that can be applied to your business, Josh will exceed your expectations.”it!" "Josh Linkner is fantastic! The group loved him and he’s so dynamic. And he’s easy to work with." "Josh was engaged, informed and spot on with respect to the conversation and advice he was able to provide our group. All organizations have a personality and we wanted to make sure that Josh understood ours so that he could be more successful. Not once did he give us the impression that we were taking up his time. I strongly recommend Josh." "Our group really enjoyed his presentation. They found his content to be relevant to their business and his energy and enthusiasm were contagious. We highly recommend him."